If you didn’t know that ‘even when a body is stationary in space, it is moving through time’ then it could be time you brushed up on your Theory of Relativity now with the A-Z of Particle Physics. 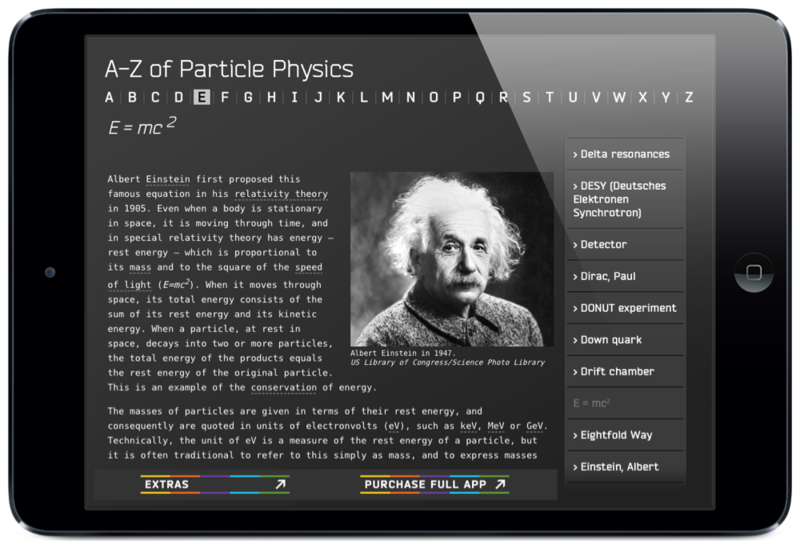 A new FREE app for iPhone and iPad created for Science Photo Library, the A-Z of Particle Physics is the little brother to the bestselling The Particles iPad app. Packed with biographies and background information this beautiful and informative application also includes a free trial membership to the world renowned Institute of Physics. Did we mention it was free? Download it free now from the App Store.